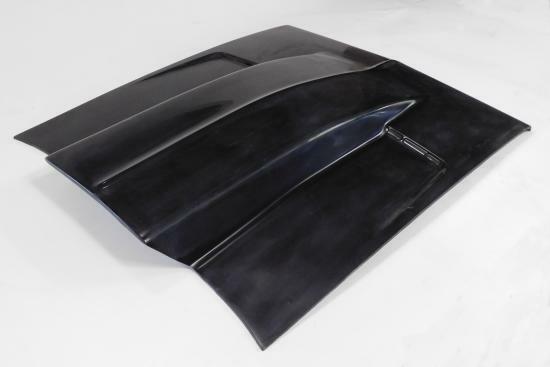 Designed for your 68-69 Charger, this stock flat hood is constructed with indents for turn signals (blanked off) and hinge mount provisions are firmly molded in. Bolts included. Molded edge on all sides insure perfect fit without grinding. Standard flat hood for 71-74 Charger. Features full inner structure for maximum support. Bolts to hinges and has rolled edges for perfect fit. 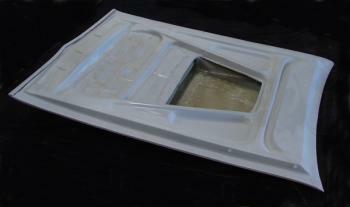 DC-444 71-74 Charger hood with six-pack scoop built in. Features inner structure for rigidity and support. Rear attaches to original hinges (remove standard springs). Front must use hood pins. Under scoop area is open for carb / filter clearance. Molded edges on all sides to insure a perfect fit between fenders and to insure perfect curve to fit contour of the fenders. Has smooth grey gel coat finish, ready for primer prep and paint. UP22.com the web's giant site for quality fiberglass. Customers agree, fit, price, quality all come together at UP22.com. Please visit UP22.com frequently to see updates, specials and new items. 1971-1972 also fit 73-74 see note. Charger front fenders. Hand-laid fiberglass construction. Exterior is smooth gray gelcoat. Mounting tabs provided for easy mounting. Headlight buckets not included. Note: The 71-72 have a slightly smaller wheel well opening (as measured from the top of the wheel well to top of the fender. 71-72 have a 9" measure, while 73-74 measure 8"). These will fit the 73-74. Headlight Buckets for Charger. Mad of durable hand laid fiberglass, can bolted to fenders or 'glassed in. Front bumper for 71-74 Charger. 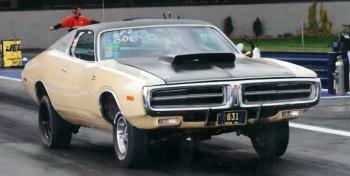 Fiberglass replica of original Charger bumper. Smooth gray gelcoat. finish. Light sanding for paint prep and shoot with black or color match to the car. Mounts to original brackets or to part # DC413 & DC414 fiberglass brackets. Rear bumper for 71-74 Charger. Fiberglass replica of original Charger rear bumper. These light weight bumpers weigh only 4 lbs. yet they are durable enough for street use (will not protect in case of impact). Use fiberglass brackets # DC420. 71-74 Charger front bumper brackets. 413's are 3-1/2" wide where they bolt to the frame. 414's are 3" wide where they bolt to the frame.